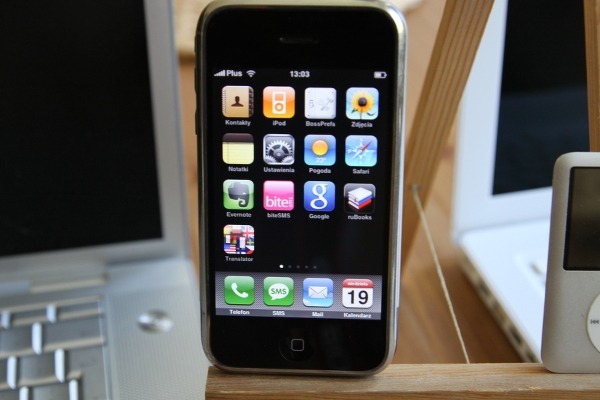 Modern small business owners know that their iPhone is the most powerful tool in their arsenal. Yes, providing a great product and outstanding service is crucial to your success, but you also have to be connected; to get jobs, stay in touch with your colleagues and customers, and keep everything organised. There are hundreds of apps that you can use to run a smarter business, but we’ve collected ten of our favourites here. Let us know which business apps you use! Leave a comment below and tell us which apps you can’t live without. You had to know we were going to list this one first. It’s the best iPhone credit card reader out there. It’s the only app that lets you quickly take credit card payments on the go without extra hardware for your mobile, without a contract, and without a merchant account at a bank. It does all the paperwork and your accounts! And our fees are the lowest out there. What more could you ask for? If you need to make materials lists, reference PDFs, store your expense receipts, or just jot notes, Evernote can’t be beat. You can easily store thousands upon thousands of notes for your business, your home life, and anything else you could possibly want, and access them on all of your devices. An easy-to-use task manager, Wunderlist will sync between your devices to make sure that you don’t ever forget to do the things you need to. No more forgetting to add your expenses to your accounting software, call a potential client, or order that last part you need. With your notes and tasks organised, all you need is a good calendar app. Sunrise is simple, has a gorgeous interface, and interfaces with Google Calendar, iCloud, Facebook, and LinkedIn. You’ll get reminders for upcoming events and be able to check your schedule at a glance. If a picture is worth a thousand words, Skitch will save you loads of time. You can easily annotate pictures, including adding text, arrows, and shapes. Have a question about something you found on the job? Snap a quick picture of it, write your question directly on the photo with an arrow pointing to what you’re referring to, and send it off to your colleagues. This is one we use at SmartTrade a lot—it’s like having a bulletin board that your employees can share, but it’s kept online so everyone can see it wherever they are. Create sections for projects, customers, specialties, or colleagues, and keep notes, tasks, and reminders organized. If you need to view and edit Microsoft Office documents, any one of these apps will help you do it directly from your phone. Open up a Microsoft Word document to make edits, create a new Excel spreadsheet, or review a PowerPoint presentation that you’ll be giving to a potential client. Keeping track of a lot of paperwork is a pain, but scanning items and keeping them online or on your computer makes it a lot easier. Why wait until you get back to the office to scan them? Use TinyScan to scan them with the camera on your iPhone and upload them to Dropbox immediately! If you have a lot of documents that you need to access on a regular basis, using one of these cloud-based storage services will let you quickly look at them whenever you need to. Whether you have complicated instruction manuals that you want to access on your phone, patterns or plans to look reference, or company guidelines that you’d like your employees to be able to read whenever they need to, these apps will make sure they’re easily available. It might seem weird to have social networking apps on your phone for business purposes, but it’s becoming increasingly common for customers to want to get in touch with you via social media. If you get a Facebook message or a Twitter mention, you want to be able to respond right away! And don’t forget to follow us on Facebook and Twitter to get smart small business tips and updates on the app. What Are Your Favourite Apps for Small Businesses? There you have it: ten apps that will help you run a smart business. What do you think? Do you use any of these apps? Which do you find the most useful? Any we missed?